Is everyone good at speaking except for me?! There is a theory in social psychology known as attribution theory—simply put, if I see you laughing and smiling with your friends, I immediately categorize you as a happy person. I don’t consider the complexity of your thoughts or emotions; I don’t consider the tears you shed yesterday as you put your dog to sleep; I don’t think about the rage you felt as that off-handed comment from your husband quickly careened into an argument; I don’t think any further than that one simple smile you’re showing right now which, in my quickness to categorize the world, tells me that you are a true-and-through, 100% happy person. Where attribution theory really throws us for a loop is with certain social skills. The same way we see someone smiling and incorrectly conclude “100% Happy,” both kids and adults see others being able to socialize or speak in front of crowds, and immediately attribute that person’s skill to some fixed trait—“Meghana is just naturally good at conversation” or “Bryan is such a natural speaker.” However, I bet the million-dollar word loquacious that Meghana and Bryan have A) some level of fear about speaking and, B) have had to practice in order to attain the level of comfort they are currently at. My goal for this article is to share a few straightforward strategies you and your kid can practice to help with certain social situations. I wanted to share all the psychology “psytuff” about attribution theory first because we need to recognize that people are not naturally born great communicators. This is a great starting point for a conversation with your son or daughter: “I know that Meghana is really good at speaking in class. Do you think she ever gets nervous?” This begins to break open the false perception attribution theory gives us. After some conversation, you can ask about the level of effort: “Do you think Meghana practiced for her presentation? Do you think she’s spoken in front of people before?” The key to this second part is acknowledging that skill comes with practice. If your child is receptive to the idea that being an effective communicator is not an inherent trait and that anyone can practice it, then you’re ready for some practice drills. If you’re working with a child, begin by clarifying that you will be role playing a tough social situation. Just like a fire drill, you want to practice so that in the event of a real emergency, everyone knows what to do. Clarify that if the child wants help on what to do/say or if he or she feels uncomfortable, they can always ask for a time out. First appropriate response: Say nothing. Remove yourself. Why. Let me start with a disclaimer that I absolutely do not want to raise a generation of passive wimps; however, there are times that insults and the people throwing them are simply not worth your time and attention. Remember Pavlov’s dog? He’s the one that started drooling at the ringing of a bell because a bell meant food was on the way. Our brains are a little more complicated, but the same idea holds true. We respond to that which is reinforced—both through positive and negative reinforcers. Unfortunately, this means that no matter how you respond to the bullies, any response is still a response which in turn reinforces the bad behavior. By even acknowledging your tormentors, you have essentially rung their bell—and they become hungry for your pain. However, by showing zero emotion and removing yourself, you have taken the power out of the hands of your tormentor. Second appropriate response: Find anyone to stand next to. Why. Maybe it’s our hunter instincts, but there is a discernible power in numbers. Move immediately towards anyone else. If someone is across the street mowing their lawn, walk that direction. If a kid is coming up the sidewalk, stand next to that kid whether you know him/her or not. Something innate tells us not to attack a group, and for bullies it’s no different. The research (Salmivalli et al., 1999) reveals the power dynamic, not between the bully and the bullied, but between the bully and the bystanders. 85% of the time, bullying takes place with bystanders present, and when a bystander intervenes, the bullying stops in under 10 seconds (Olweus, 2011). Long story short, find someone…anyone…to stand next to. Third appropriate response: Stop and explain the consequences. Why: Kids who bully are not exactly masters of awareness; they typically do not think through the long-term ramifications of their actions. This is where you, the person being bullied, have the ability to bring your attacker’s brain from its heightened sense of confrontation back to the logical and rational processing center. Your goal is to derail their negative train of thought with a firm “stop” and then provide a statement which requires processing. Here’s how this might sound: “Please stop. I don’t appreciate you calling me stupid. If you won’t stop, I’ll have to tell my dad about this.” You’ve interrupted the thought pattern with a firm “stop” and you’ve provided logical reasoning following by a choice which brings the brain back into a state of control. To my surprise, the phrasing was natural for a seven-year-old. However, I also do not want to train today’s youth to resort to tattling, which is why this is the third response in the series. The point here is not to escalate the situation to telling on the other person, but instead diffuse it by making the bully think through the potential consequences. You’ve been assigned to a group of four to complete a project. After only a few minutes, the group is arguing. You don’t want a bad grade on the assignment, so either the group needs to learn how to work together or you’re going to be up late tonight doing everyone else’s work. Why: This technique again builds on the research of Dan Siegel and Tina Bryson in their book, The Whole Brain Child: 12 Revolutionary Strategies to Nurture Your Child’s Developing Mind (2011). The concept of connect and redirect is presented as a way for parents to help their own children work through frustration by first connecting with the emotionally-driven right side of their child’s brain and then redirecting behavior by appealing to the logically-driven left side of their brain. Although The Whole Brain Child was written with the parent-child relationship in mind, this technique is just as effective for someone working within a group. For example, if you see the group is fighting, the first response is to acknowledge the emotional side. This may sound like: “Guys, I know we’re all upset right now. This is frustrating because we all have our own ideas on how to make this work.” This simple acknowledgement diffuses the irrational behavior by calming the fight-or-flight amygdala and primes everyone in the group for more rational thought. The redirect part is a simple shift back to the logical: “Of all the ideas, which one do we think will work the best?” By connecting with the emotional side first and showing empathy, the group is ready to be redirected towards more logical tasks. Without connecting first, the brain is simply not primed to make logical decision, resulting in a downward spiral of emotionally-charged responses. Why: Quick side note: to be pragmatic means to be guided by objective practicality instead of theory. Often being pragmatic is interpreted as being cold or aloof. For example, if you told your wife: “With the current state of the market, I didn’t buy you anything for Valentine’s day because excess spending would only affect our family’s bottom line.” This is a very pragmatic response that removes any feelings from the equation (the practicality can certainly be debated!). Clearly, the severity of peer pressure can range from simple mischief to more life-altering choices. We do our best as parents to impart sound ethical device, but as Andrew Solomon points out in his book Far from the Tree: Parents, Children, and the Search for Identity (2012), the reality is, our own children are on their individual journey of discovering what is right and wrong for themselves. Help your child respond to peer pressure more effectively by taking their wavering moral compass out of the equation. Doing what you believe to be right depending on the situation is called moral relativism; doing what is right regardless of the situation is called integrity. Simply put: what is a reason I shouldn’t do it, you shouldn’t do it, and who else is affected. The teacher has handed back the project rubrics, and although you worked really hard and put forth your best effort, you got a B-. Something seems off; perhaps the grade is wrong, but you don’t want to question the teacher and make her mad. Acceptable Response: Really Feely Go! Immediately move into the next step which is sharing your feelings. Again, your teacher doesn’t know what you’re thinking or how you’re feeling. Are you trying to get a few extra points without any effort? Are you saying her reality is wrong? Instead, just share how you feel. Don’t leave it here either! If you left it with how you feel, the conversation simply hangs there and your teacher’s only response is how he/she feels about your project. Add the third part and end the Really, Feely, Go with what you want to do—where do we go from here. Closing: Anyone can speak well, including you. We see other people who are smiling, leading, and advocating for themselves, and we think they’ve just got it—somehow they were born better communicators. However, no one is born an effective communicator…in fact, we’re all born as babbling babies, it simply takes practice to get better at working through sticky social situations. It’s crucial to recognize our ability to grow before we role play and practice. My hope is that these techniques have provided some straightforward, linear solutions for working through some tough situations. I’m certainly not saying that anything in life is linear, but these techniques provide a starting point from which to practice at home and begin a conversation. Olweus, D. (2011). Bullying at school and later criminality: Findings from three Swedish community samples of mailes. Criminal Behaviour and Mental Health, 21(2). 151-156. Salmivalli, C., Kaukiaiemi, L., & Lagerspetz, K. (1999). Self-evaluated self-esteem, peer-evaluated self-esteem, and defensive egotism as predictors of adolescents’ participation in bullying situations. Personality and Social Psychology Bulletin, 25. 1268-1278. Siegel, D., & Bryson, T.P. (2011). The whole-brain child: 12 revolutionary strategies to nurture your child’s developing mind. New York: Delacorte Press. Siegel, D., & Norton, W.W. (2012). Pocket guide to interpersonal neurobiology: An interactive handbook of the mind. W.W. Norton & Company. Print. Solomon, A. (2012) Far from the tree: Parents, children and the search for identity. 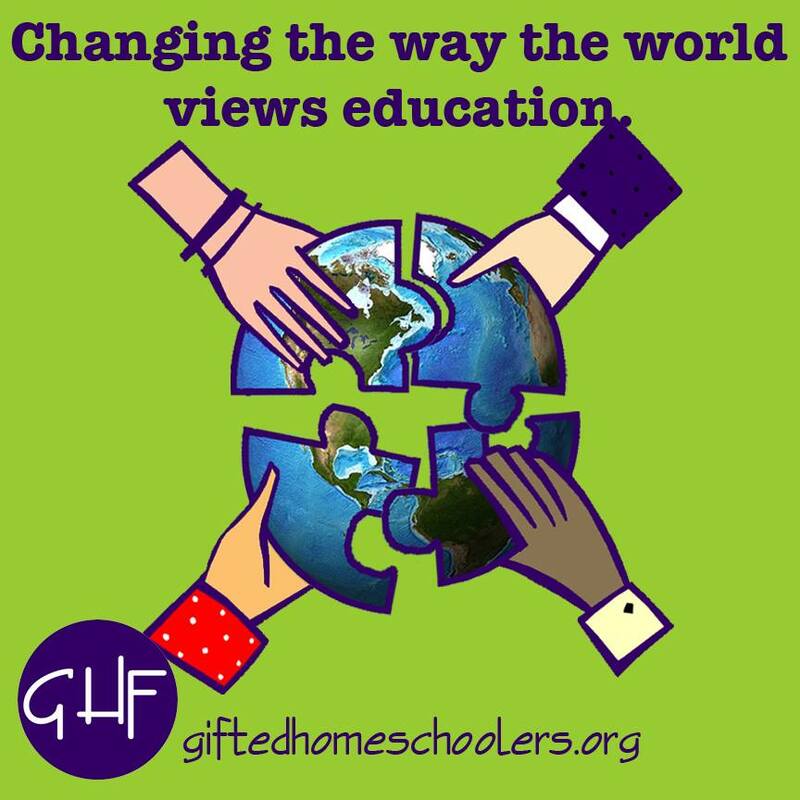 Many thanks to the Frisco Gifted Association for their support of this post!